It's probably a good thing this one doesn't fit me or I would be keeping it for myself! For details on this refashion or to see others, please visit my blog at Love Street Salvage. That colour is cute - unique details make the dress and yours looks tidier/neater. It's fun to have favourite things to look for when thrifting. So cute :) I agree with going sleeveless and shorter, the collar and buttons are everything! Great refashion! 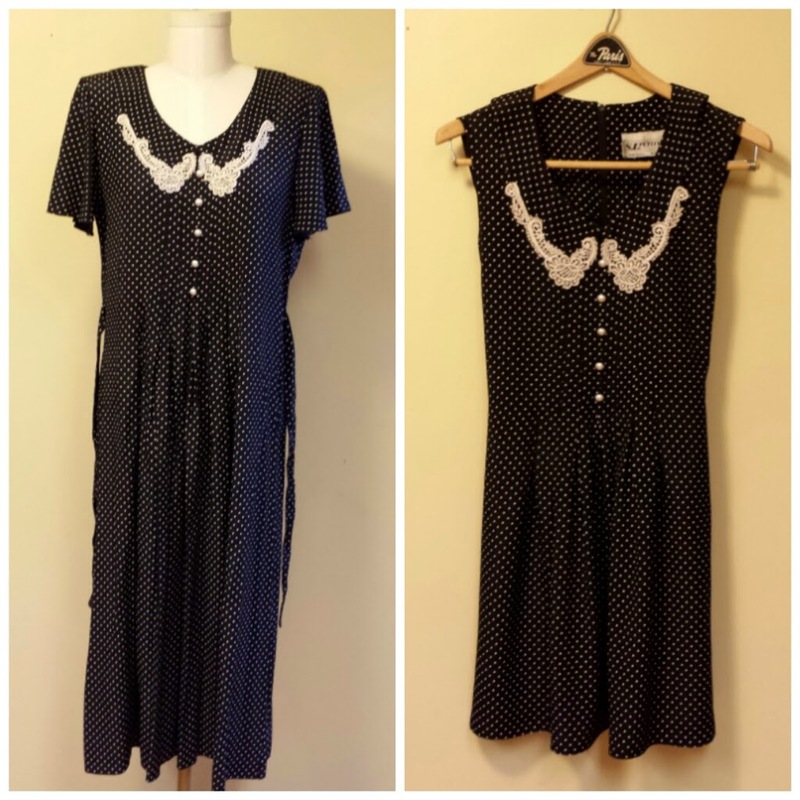 I love dresses and skirts with dots. So cute. Thanks guys! This dress was lots of fun!